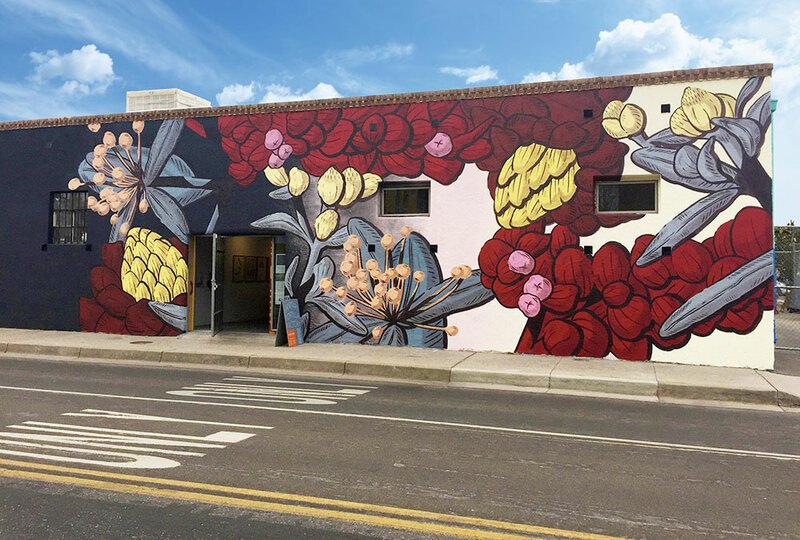 The Botanical Mural Project features two new murals in Downtown Albuquerque by renowned artist Pastel (a.k.a. Francisco Diaz) from Buenos Aires, Argentina for Cross Pollination. In consultation with Cross Pollination exhibition curator Valerie Roybal, Pastel chose to work with and interpret images of the following native plants: Arbutus xalapensis, Verbana neomexicana, Clematis drummondii, Cercocarpus breviflorus, Artemisia tridentata, Aloysia gratissima, Amorpha fruticosa, and Mahonia trifoliolata. Pastel, who is both an architect and a muralist, has created murals all over the world, most recently in France, Norway, Belgium, Ukraine and the Philippines. Using his distinct visual language, he fills immense wall surfaces with patterns based on local flora of the region. His botanical references address history, geography and society, while exploring the relationship between urban art, architecture and city life. 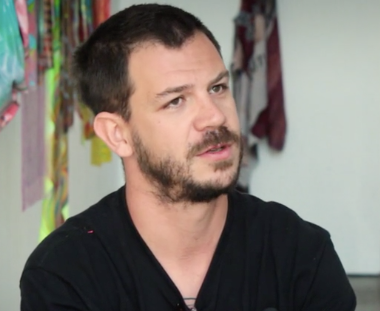 Pastel describes his street art as "urban acupuncture," saying: "Modern cities are full of 'non places' because of irregular and non-inclusive master-planning . . . Working with symbolism of local flora, the murals create a dialogue about the nature of human beings and our surroundings."